New Delhi: Muslims in India are facing a very crucial time. Concern of security has taken place in socio-economic sector here. India cannot be a super power by leaving 14% of its population behind. Muslims are the citizens of India and would remain the citizens of this country always. Their inner conflicts could lead them towards a state of a great depression. 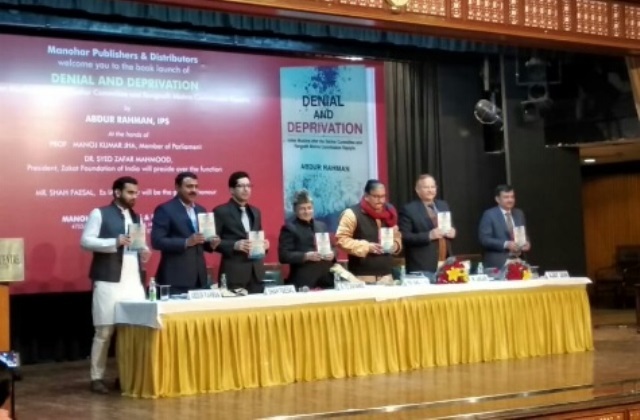 Abdur Rahman, IPS expressed these views while speaking at the launching ceremony of his new book ‘Denial and Deprivation’ at Indian Islamic Cultural Centre on Friday. He said concreate steps need to be taken for tackling the problems of Muslims in India. “Urdu Madrasas and their condition needs to be considered. The nature of present government needs not to be hostile towards the Muslims. The participation of Muslims in every sector is very low , this needs to be improved ” he said. He also said that media, research scholars, political commentators don’t show any interest in Muslim issues. He also stated that the condition of Muslims in India is soon going to be like Dalits. Ex IAS officer Shah Faesal spoke as the guest of honour at the event. He said the author had done deep research to pen down the hot issues of the Muslims in India with multiple shades. “There is no one to consider your victim-hood even though you are a victim with an evidence. There are many stereotypes that are created and used against Muslims.” he added. Manoj Kumar Jha, Member of Parliament, Dr Syed Zafar Mahmood president of Zakat Foundation of India also spoke at the event. 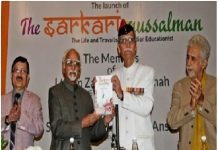 They urged the intellectuals, researches, students and the decision-makers to read the book to form a better and clear perception regarding the topic. He also suggested the writer to translate the book into different languages to increase its impact throughout the world. Mere jumlebaazi of equal opportunity will not work! Great effort by the Author to revisit Muslims a decade after Sachar and NCRLM. The Book was silent on the Political aspect of the community. 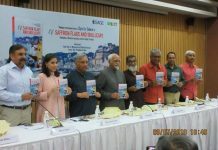 The Author has taken a great effort to revisit the Muslim Community conditions after a decade of Sachar and NCRLM, but it is silent on Political aspect.